PineCone Research is said to be one of the highest paying survey sites. But is PineCone Research a scam or really a legit way to make good money? Let me reveal right away that it can be worth joining, but it is not a site everyone can join. It is an exclusive survey site, where you can only join with an invite. In this PineCone Research review you will see what the site has to offer, if it is worth trying to get an invitation, and you can also find an invite for PineCone for select countries later in the review if you decide it is a panel, you want to join. What is PineCone Research and what does the site offer? PineCone Research panel is a part of the famous market research company Nielsen. So it is backed by one of the biggest companies within market research and has been around for a long time, so PineCone is 100% legit. It is however very different from other survey panels in several ways, but more about that later. Let’s first go over the ways you can earn on PineCone Research. PineCone Research is, first of all, a survey site, which means this is the main way to earn here. It is a fairly simple site that is easy to use. Because it mainly has surveys as a way to earn, it does not necessarily have daily opportunities, but it has regular surveys. 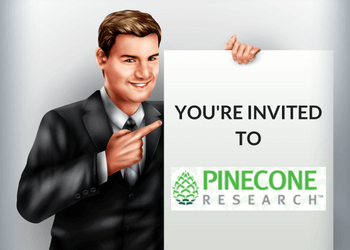 Even though you might not be offered surveys as often as on some other sites, PineCone Research surveys are definitely worth taking, as they are some of the highest paying surveys. 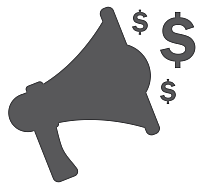 You will get paid a minimum of $3 per survey, which is very good for a survey site. In general, you can just choose which surveys you want to participate in and which ones you do not. But as it is an exclusive survey panel with a limited amount of members, you can risk you will be removed as a member, if you more or less never participate in the surveys. If you are in the risk of being removed, you will be notified by mail, so you will not just suddenly be removed but get a chance to become more active. On occasions, PineCone Research gives you the opportunity to participate in product testing. This means you get to try and test new products that are not yet on the market in exchange for giving feedback on them after you have tested them. Usually you will then get to keep the product after you have tested it, and at times this can be some really cool products and a great way to get the newest products. This is not something that will often happen, but as a member of PineCone Research, you will be told when the opportunity is there. If you get this offer, I would definitely encourage you to participate as it often gives very good rewards/value for the time spent. PineCone Research regularly has sweepstakes, where you as a member have a chance to win some really great prizes. They, for example, run a quarterly and a bi-weekly sweepstake. The winner of the quarterly sweepstake wins $4,500 and the total rewards they are giving out is $18,000. In the bi-weekly sweepstake, the winner gets $500 and the total rewards are $13,000. So if you are lucky, it can really give you some nice extra money. The rules and conditions can change from sweepstake to sweepstake, but when there is one available, you will be able to see the rules and conditions on PineCone Research’s website. PineCone Research is free to join as all other legit survey panels. However, you can only join through an invitation – you can skip ahead to such an invite if you want to join now. You get paid in points on PineCone Research. Luckily it is very easy to figure out how much points are worth. 1 point is worth 1 cent. You can then exchange these points to a number of rewards. You can get paid through PayPal, check, prepaid VISA card, products, or gift cards. If you participate in product testing, the reward will often be that you get to keep the product. Personally, I prefer panels that pay via PayPal, as it is such an easy way to get your money, but PineCone Research also offers other great options, if you have different preferences. You can get paid more or less as soon as you join – when you join and take your first initial survey, you will get 300 points ($3), and this will be processed automatically. It is only the first 300 points you make that will be processed automatically. They will be sent to you as a check. This is a security measure to verify your information and to make sure they only have legit members of the panel. After your initial payout through check, your account will accumulate normally, and you can choose yourself when and how you want to get paid. 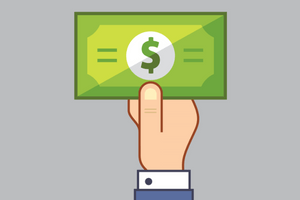 If you choose to get paid out through PayPal, the payout threshold is only $1, which means you can get paid every time you have taken a survey, if you wish to. Or you can accumulate more money and get paid later. In general, processing of rewards takes 3-5 business days on PineCone Research. If you are getting paid by check or having products sent to you, it will of course also take a bit of time before the reward will be delivered to your house. PineCone Research is as already mentioned one of the highest paying survey sites. You will get a minimum of $3 per survey, and the surveys are on average around 15 minutes but often even shorter, so it quickly adds up. You will however not be offered surveys every day, so even though it pays well per survey, you should not expect to make a full-time income or become rich from taking PineCone Research surveys. But they are definitely worth your time, and a great way to make some extra money on the side. Taking surveys on mobile is a great way to make money on the go, or whenever you have a little extra time. That is why it is great when a survey site has a mobile-friendly website or even better – an app that is easy to use. 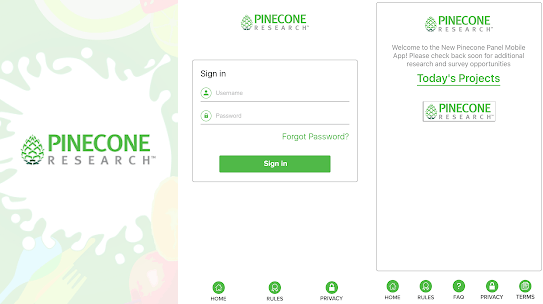 PineCone Research has an app that makes it easy to take surveys on the go. PineCone Research has an app, and it is available for both iOS and Android. So if you join the panel, downloading this app can be an easy way to get access to the surveys. This also makes it possible for you to get notified as soon as a new survey is available. Sometimes surveys can fill up quickly, so if you want to participate as much as possible, it is good to have the app and get a notification when there is a new survey. Being able to get support, if you have any issues is important as a member of any survey site. Some survey panels are not very good in this area, but PineCone Research has a good support service. You can contact the PineCone Research support through email, and you will get an answer within 24-72 hours. In many cases, they will also get back to you sooner. The joining process for PineCone Research is something very unusual for a survey site. You cannot join just by visiting their website and signing up – in fact, you cannot even find this option on the website, which can be very confusing when you go there the first time. PineCone Research has created an exclusive survey panel, where you can only join through an invitation. This means it is one of the hardest survey panels to join, but it is also one of the highest paying ones. Luckily, I have been able to get such invitation links for select countries here at PaidFromSurveys.com, and you will be able to find it in the next section. Before joining, be aware that only one person per household is allowed to join. If several people from the same household join, you will very likely be kicked out of the panel again. I have been able to get an invite for PineCone Research for the US, UK, Canada, Germany, and France. So if you live in one of these countries, you can click the link below, select your country and join. If you are not from one of these countries, you can unfortunately not join PineCone at the moment. You can instead check out my list of other great survey panels, where you will definitely find panels, you can join and find great opportunities no matter the country you live in. Be aware that PineCone Research only accepts a certain amount of new members every month. This means that if you are reading this towards the end of the month, there might be some of the invitation links that are not working. If that is the case, then just bookmark this page and come back at the beginning of the next month where they again accept new members. Some months they accept new members throughout the month and in other months the spots get taken very quickly. It all depends on the amount of people that want to join that month. So just be aware that if one of the links is not working, just come back at the beginning of the next month and then there should again be available spots. PineCone Research is definitely a legit survey site, but let’s sum up the pros and cons so you can get a better overview of what it offers before deciding if it is for you or not. Overall, PineCone Research is a really good survey site. It might not have daily opportunities for taking surveys, but the surveys you get, pay very well, you have great payout options, and the site is easy to use. If you are from the US, UK, Canada, Germany, or France, it is definitely a site you should join, as it is a great way to make some extra cash. If you have any comments, questions, or have any experiences with PineCone Research yourself, I would love to hear from you in a comment below. PineCone Research is a different survey panel. You can only join through an invitation, but if you can join, you definitely should, as it is one of the highest paying survey sites. Below you can find an invitation link if you live in the US, UK, Canada, Germany, or France. There appears to be a problem with the PineCone Research link. I get to the page where I indicate age, and it appears to be progressing, but I only get a blank page. I’m in Canada, so should be fine. Thanks for letting me know Jean. But it must be some kind of temporary technical glitch on PineCone’s site since you can get to the site and put in your age etc. Maybe try again and see if it works now. If not, I would suggest you to reach out to PineCone’s support and ask what is going on. Thanks for the review, I had joined and received a cheque right away but then got leery as I was worried it was a scam. After reading your review I feel more confident about the company and will deposit my cheque now! You are welcome Lisa. Glad my review helped you. Hello Mikael . Thank you for bringing PineCone Research to my attention … in spite of the site not being available for Brazil . I hope any upcoming update of this review could bring some info about the site planning to expand to more countries . If PineCone becomes available in more countries and I am able to get invitations for them, I will update the review right away. And don’t worry – I am testing some sites at the moment that are available worldwide and should also give good opportunities in Brazil. I will soon post the reviews of them and also send out emails to my subscribers about the best of them. The US has a lot of great opportunities for paid surveys. I have made a list specifically with the best survey sites for the US. You can check it out and see if you can get some inspiration for new sites to join. Sorry to hear that Darlene. The spots often fill up quickly but it is the beginning of the month and I have been told that there should be spots available so it sounds very strange. Are you aware that for the US there are different invitation links depending on your demographic group? You have to make sure to use the right one to be able to join. yes i see that, i signed for the 3rd one, the other too where, younger than my age group, and other was hispanic, so i chose 3rd one. same results as last time. Very strange Darlene. I really have no good explanation for that. My only other suggestion is to try it on a different device or different browser. I have just heard back from a contact I have that are in charge of the PineCone invitations I have for the US. There still should be plenty available. He asked if I could get a screenshot of the message you get when trying to sign up so he can investigate further. If that is possible, just send it to my email. Thanks for the screenshot Darlene. I will forward it to my contact and hear if he can give any more info. When I try to sign up, even when I choose Canada as my country, I am asked for my zip code. I have tried to enter my postal code but it has too many characters and gets cut off, and then is invalid. Thanks for letting me know Tyra. I will try to contact PineCone and see if they can explain the reason. I will get back to you as soon as I hear anything. I have now heard back from a contact I have that is now looking into it and checking, if there is an error on the sign up page. Will get back, when I have an update. My contact has looked further into it and several people have tried to see, if they can find out what the issue is. She has asked, if I could get a screenshot of the error you get when you enter your postal code. It can help them locate the error. So if you have the opportunity to take a screenshot of the error message you get and send it to me on mike @ paidfromsurveys.com then I will forward it, and they will look further into it. strange it does not work Darlene. I will try to see if I can get a hold of PineCone and let them know. But I can see it works for others so it is a bit strange. If I hear anything I will let you know. I forwarded the screenshot you send me and it has taken a while to get an answer. Just got it now. Not really helpful though. Only answer is that there is not really a good explanation other than PineCone is strict and sometimes block people that try to sign up several times. But I do not know if that is what happened to you. There is unfortunately not more I can do. Seems like it is better for you to just go for some of the other sites instead- Sorry. yes i did try several times but why does that matter it says to sign up and i did it in case they were accepting, i didnt know there was a issue on how many times you tried …geez. thanks. im not gonna worry about it then, its their loss. No, it does not make much sense. But luckily there are also many other great sites so think you are right that it is better to just not worry and focus other sites for you. how come i cannot join pinecone research. says that Thank you for your interest in PineCone Research. Unfortunately, there are no available openings for members with a household make-up that aligns with yours at this time. However we will keep your registration for a few weeks in case a spot opens up. However, we do have openings in our sister panel – Nielsen Computer & Mobile is looking for computer users, and could use your help! So my question is what can you tell me about Nielsen? Do you have a review on them? 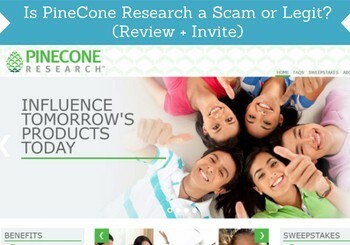 Did you register for PineCone through the link on this review? Because PineCone is one of the only survey panels where you can only join through an invitation link. And the groups of people they are looking for differs from time to time. By clicking the join link above, you will see what countries/groups I have invitation links for at the moment. I do have a review of Nielsen Computer and Mobile panel. It is a bit different from PineCone but still an interesting panel to join, as you do not really have to do anything there to earn. Just click the link above to read more. Sorry to hear that PineCone is not currently recruiting for your specific age group. They are often very specific about the groups they recruit for, and sometimes it changes with short notice. But hope you will like Nielsen instead, if you decide to join. Also, if you tell me which country you are from, I will be happy to suggest other great survey sites you can consider, as it depends a lot on the country you live in which sites are the best to join. i applied 2 times, keeps telling me not accepting my status at thistime. Sorry to hear this Darlene. I tried to look into it before when you asked. It seems there are just not recruiting your specific demographic group at the moment. PineCone have very specific groups they are inviting and it is often in limited numbers. Did you end up trying some of the other survey sites instead? yes i signed for a few of them, i believe it was you that suggested top 8 or top 10, im not sure,its been awhile.i have a question tho, have you checked out survey bods or instagc? I have checked out InstaGC – you can read my full InstaGC review here for more info. It is a legit site with pretty good opportunities. SurveyBods is only for the UK, so I believe it might not be for you. Thank you so much for your post ”Is PineCone Research a Scam or Legit?” This is a breath of fresh air. I had lost all hope of finding genuine surveys I can join to earn a decent income working from home. The money people get paid sounds reasonable. Unlike other surveys where you are paid with shopping vouchers after parting with too much confidential information. I tried to sign up unfortunately, only 4 countries show up. Is this an exhaustive list of countries that can participate? Yes, PineCone Research pay very well per survey compared to many other survey sites. But it is actually a misconception that most survey sites only pay in vouchers. There are many sites that pay in cash through PayPal or through prepaid visa card, but PineCone is still one of the absolute highest paying survey sites. The list is not an exhaustive list of the countries where PineCone Research is available. But they only once in a while have campaigns where they recruit new members, and then they make invitations available on certain websites (PaidFromSurveys being one of them) and at the moment these are the countries I have been given an invitation link to. I might get others at a later time depending on the countries they want to recruit more members in in the future, but at the moment these are the only ones. This post is very informative and it really includes everything you need to know, in order to start with paid surveys! You don’t miss any detail, so anyone interested in these surveys and how to make money from them, will find this very useful and can start right away, for sure! Thanks for the comment and your feedback. Glad to hear you like the info. This is an excellent and concise review of Pine Cone Research. In fact, as a result of reading it I actually registered with them just now and am waiting to be notified of my first possibility for a survey. I had never heard of this company before and am glad that you brought it to my attention. Thanks for the feedback. Great to hear you decided to join and hope you will enjoy it. Feel free to keep me updated about how you like it. Would be great to hear about your experiences as well. Someone told me that Pinecone Research was a really great program for surveys but if they don’t have a constant supply of surveys for their members, it means you cannot rely on them to make money daily. I see in your list of top 10 survey sites you recommend PrizeRebel. I think I will get into this instead. Thanks. It is true that PineCone Research does not give you surveys every day. But if you can, it is still a great site to join, because it gives really good rewards for your time. And then join other survey sites as well that gives you daily opportunities. That way you will overall be able to earn the most. But PrizeRebel is definitely worth joining as well, and it is one of the sites that gives daily opportunities, so good decision to join that. I’ve done my fair share of researching survey sites, but have never come across PineCone Research. You’re right in that $3 is fair for 15 minutes of time, especially if the payout threshold is only a dollar! And with the mobile app, its hard not to suspect PineCone to be the best legit survey company out there (even backed by Nielsen Co.!). Thanks for sharing I’ll have to join when I get some extra time on my hands. Thanks for the feedback Chase. If you live in one of the countries, where you can join, it is definitely worth joining PineCone.